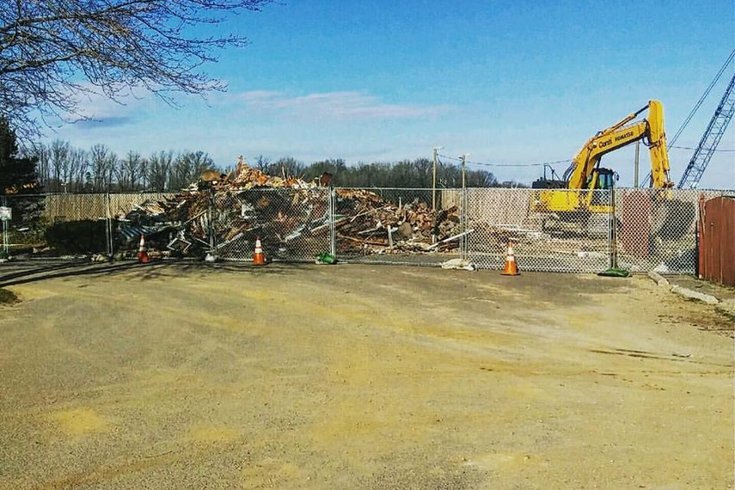 The historic Huggs-Harrison House in Bellmawr was demolished overnight by contractors working for the New Jersey DOT. Groups said they had an injunction which should have prevented the destruction of the home, which has ties to the American Revolution. Government agencies ignored and violated the National Historic Preservation Act when the 250-year-old Hugg-Harrison-Glover House in Bellmawr was torn down in early March. The Camden County Historical Society made the allegation in a federal lawsuit filed late Wednesday in Camden. Perkins announced the suit Thursday morning. The New Jersey Department of Transportation has admitted it did not have a required demolition permit when it ripped down the Camden County home once owned by a Colonial militia captain who fought in the Revolutionary War. The demolition came one day after the historical society had filed a lawsuit seeking emergency restraints against the demolition. The house had been in the path of a major interstate construction project. NJDOT, the U.S. Department of Transportation, and Federal Highway Administration are named in the suit. The lead agency, NJDOT, did not immediately respond. The society also wants debris from the site and monetary damages. Colonial militia Captain William Harrison owned the home. He fought a Revolutionary War battle at nearby Big Timber Creek. The Marquis de Lafayette was in command during the battle. The site now will have a sound barrier wall for the I-676/I-295 interchange project.